Why? Organizations often become accustomed to unproductive chronic stress and imbalance, but this does not have to be the norm. At Work Wisdom we recognize the importance of investing in concrete skills that build high performing teams and individuals. The science and tools exist to increase flourishing and to decrease negative stress and burnout. Optimal organizational performance is possible when individuals are balanced, positive, creative, and motivated. Financially, research has demonstrated that a 200% ROI is achievable when a company invests in Psychological Capital. What? Workplace Wellbeing Circles are intentionally curated, small groups designed to build positive mindsets and behaviors. Circle members are introduced to the science behind positive and negative emotions and motivation through evidenced-based physiological, cognitive, and workplace strategies for increasing wellbeing. Members of Workplace Wellbeing Circles meet regularly over the course of six months at Work Wisdom (Suite 210, 8 North Queen Street, The Griest Building, Lancaster PA 17603) for a confidential interactive learning workshop. The circles are led by Work Wisdom’s Kate Coleman and Chris Peterson. When? Workplace Wellbeing Circles meet for two hours per month for six months. How? To join the next Workplace Wellbeing Circle, contact kate@workwisdomllc.com or at (573)837.7379. Why, again? We want your teams and organizations to become the best version of themselves. Investing in smart, evidence-based wellbeing practices increases productivity, decreases turnover, and pays dividends. Why? Our clients have repeatedly told us that they want to be versed in the most current evidence-based business insights and research, but they simply don’t have the time to sift through and absorb another periodical. What? The Review is a club for clients of Work Wisdom designed to address this need. Work Wisdom’s team reads the current issue of Harvard Business Review cover to cover. Members of The Review meet monthly at Work Wisdom (Suite 210, 8 North Queen Street, The Griest Building, Lancaster PA 17603) to hear summaries of the most compelling articles and research, eat together, and discuss ideas for improving their businesses based on the research. The sessions are led by Work Wisdom’s Kedren Crosby. When? The Review meets over breakfast for two hours each month on a recurrent basis. How? To join the next cohort of The Review, contact Kedren@workwisdomllc.com or at (717)327.7780. The cost of a one-year membership to the Review is $1,200 for the full year, which includes 12 sessions of The Review, copies of journals and breakfasts. Why, again? We want to resolve this pain point for our clients in a safe space while also bringing the world’s best ideas to our communities. We hope you’ll join us. 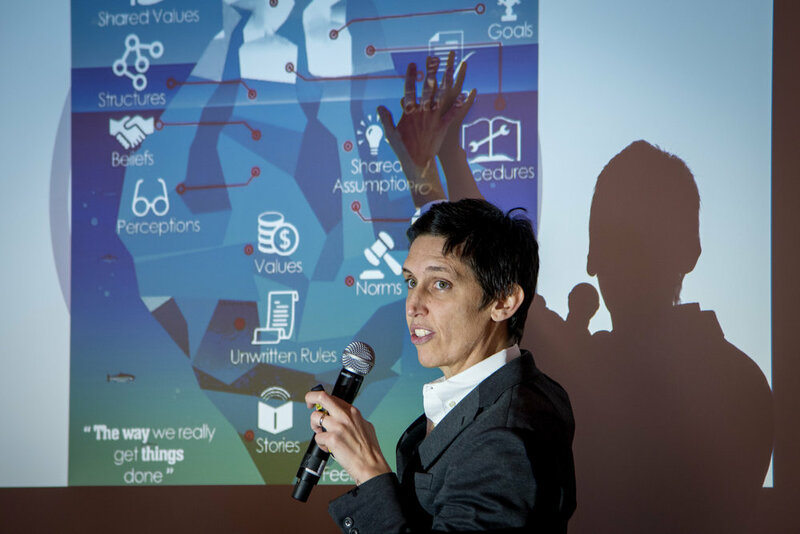 In this online course, Sarah and Kedren teach the usage of best practices from the fields of positive psychology, appreciative inquiry, neuroleadership, communication, mindfulness and organizational behavior to build collaborative and productive organizations. Take Work Wisdom's online course in Authentic Communication from anywhere, whenever you want. The course works well as either a team building activity (sort of like a book club at work) or as a way to grow on your own. 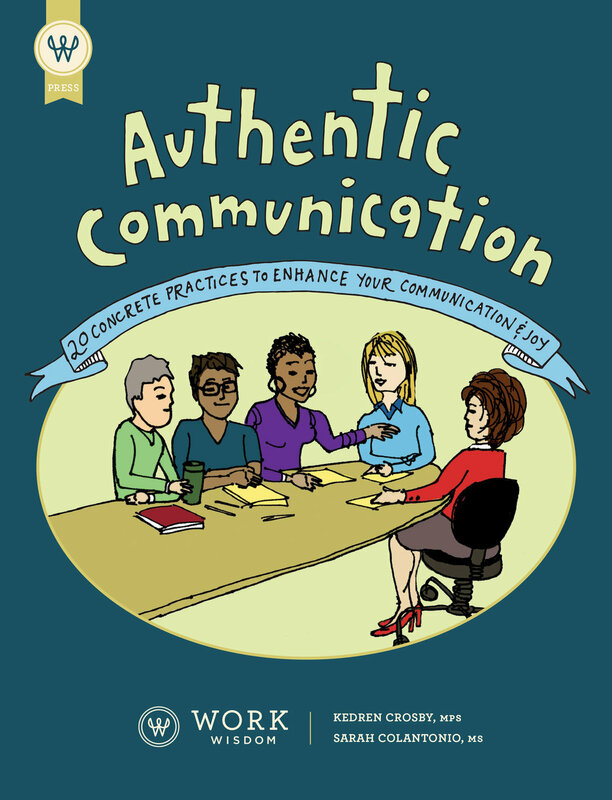 Learn the 20 tools to build trusting, open and innovative teams that get real results while receiving a Certificate in Authentic Communication from Work Wisdom Academy. We explain how to help individuals and teams develop communication habits that build psychological safety and awareness, strengthen relationships, authenticity, congruence and improve motivation, accountability and employee engagement. We seek to improve your written, verbal, listening and non-verbal skills through increased self-awareness activities to achieve peak organizational performance. Our goal is to spread the gospel of Authentic Communication, so you'll find that the course is very affordable ($100), fun and helpful for both yourself and your team.